The last few days have been hard for me. 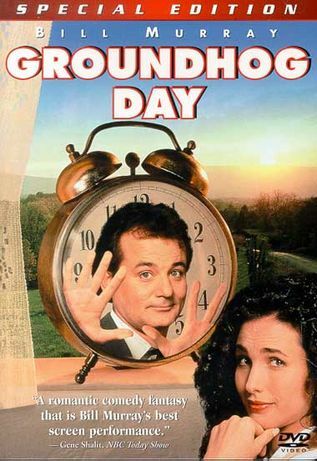 I have an unusual attachment to the movie Groundhog Day. I don't care how odd it seems but man i love that movie. I have seen it close to 100 times and it never gets old. BING! As much as i love the movie and watch it frequently February 2nd still holds a lot of significance for me. I got my 1st tattoo on 2-2-1998. Sorry no pics of that, its on my back and C1 is too sick to take a picture for me. Its not a tramp stamp oh hell no, its on my shoulder but it also has C1's real name on it so if i post it i have to edit it first anyway. Even more important is its my pa-pa's birthday. I'm reminded just how much i miss him when this day rolls around. Its been 2 years and i still had a long time of wallowing that day. 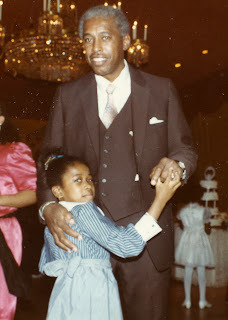 Thinking about things i will never do, things he won't be around to see, things from my childhood i'll have forever. His funeral and the subsequent hours i sat int he limo with my cousins made me realize i'm have the best memories of him. i was the first born and the only grandchild for 5 years. He started getting sick when i was about 4 but he it was years before he was in the wheelchair and even longer before he was in the nursing home. I have a ton of great memories, there's so many pictures of him and me when i was little and i don't have any of him with C1 because by the time she was born his health was failing. I know i stopped visiting him after a while, he wasn't the same man, i didn't like looking down at him when he always towered over me. Every year is a mixture of laughter and pain, memories of him, missing him, and the antics of Phil Connors and Punxsutawney Phil.